July starts the second half of 2018. It’s also a good time to review your goals for the year. Did you make a resolution to improve your financial independence this year? If so, how are you doing on it? The great news about July is that it allows you to re-boot your plans and still have plenty of time to put them into effect. 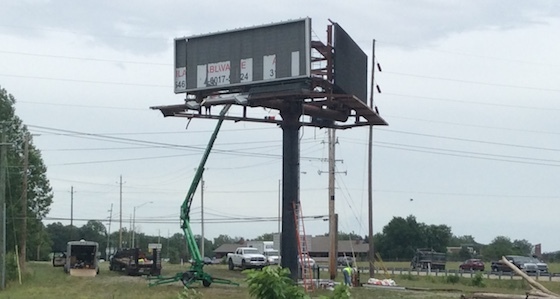 Building billboards can be highly rewarding and can move quickly. But you have to get started. If you have not yet initiated your efforts, the time is now. Harness that sense of urgency and you can still make 2018 a banner year for your future. We’d also like to take this opportunity to thank everyone who has served our country in the military. We appreciate your service and sacrifice in keeping America free! Most people look at billboards up in the air, but billboard owners also look at what’s going on underneath. That’s because access is an important part of every sign, and without it you can’t get them installed or serviced. So what are the fine points of billboard access? Is the gate wide enough? Let’s start with property access. Many a billboard owner has forgotten to see if the actual gate into the property will allow for heavy equipment such as a concrete truck and a crane. A normal gate that a car will fit through will not always clear a truck. So find out the width of the largest piece of equipment and measure the gate and see if it will fit. If not, get it widened before the equipment shows up. Will the road support heavy equipment? The next issue is if the road to the sign will support that much weight. Your car might weigh up to 5,000 pounds. The concrete truck weighs ten times that. Concrete and asphalt are normally fine, but dirt and gravel roads can sometimes not hold the weight. Have someone knowledgeable look at the road and confirm that it’s fine before the equipment shows up. I remember my the first sign I built, before I knew anything about access. I measured everything out, but forgot that you have to actually move equipment around when you build the sign. I had not left room for the digging machine to throw the dirt anywhere, or for the truck to unload the steel. Building a sign is a busy enterprise, and you have to have elbow room. Some properties have tenants on them that mandate access only with prior notice. Make sure you understand the rules of engagement and give plenty of advance notice. I once had a sign above a car dealership that required every car to be moved for us to get up on the sign and change the ad. You can’t get that type of work done overnight. Is there danger in damaging things under the sign? Here’s another item that requires thought. Is there anything under the sign that could be damaged when you access the property? If so, you need to get it moved or covered. I once failed to get a classic car moved from under a sign and a piece of rebar went right through it. Although I had insurance, it still ruined by relationship with the property owner. 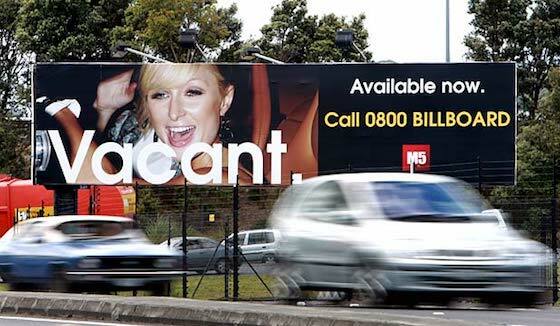 Access is vital to any billboard. Make sure you have it all mapped out prior to actually doing the work. Remember the old scout moto “be prepared”. Why Did Early Billboards Get Away With So Few Words? If you look at any book on historical billboard designs, you’ll notice something unique: they have very few words. Sometimes only one or two. Now compare that to modern billboards and they look like a book report by comparison. So how did those early signs get away with so few words? The first reason is that there were very few products back them to compete with. Coca-Cola only had maybe five competitive drinks whereas today there are hundreds. And Ford only had to compete with Chevrolet and Dodge and not a host of companies from Asia and Europe. Early highways and roads had very few exits. If you said “next exit” it was obvious to everyone. Today, directions are much more difficult because there are so many options. On top of that, most businesses fronted directly on the road so you could see it all once you exited. But today there are many advertisers that are a quarter or a half-mile down the road from the exit and they have to give description o fhow to get there. 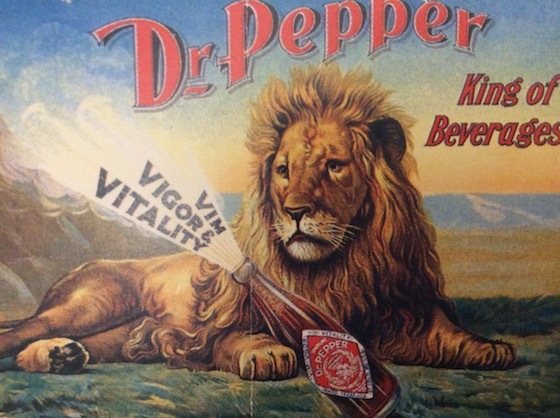 Since the budgets of the early advertisers were not that large, almost all of their ads were “generic” – just creating awareness of the product to the public. So they were simply a graphic and a logo or name. Today, advertising budgets are larger and signs are used to advertise individual locations and not just generic brands. The early billboards were fantastic. They were award winning. But they had very few words. It’s not something that you can pull off today, although brevity is still an important trait of good ads. Without an advertiser, a billboard can’t make any money. So getting a customer up on your sign is the vital part of the business that you have to be an expert at. What are the top ten ways to fill a vacant sign? Get your phone number up on that blank billboard. Why not? You’d be surprised how many customers call off of these numbers. Some sign owners only use this technique to stay full. Build an effective direct mail piece that includes all the necessary information on the sign, but the location to the traffic count, as well as a photo of the sign. Mail this to business in the same zipcode as the sign. Many of those who respond did not know how inexpensive a billboard really is. This is a list of advertisers that are naturals for the sign. 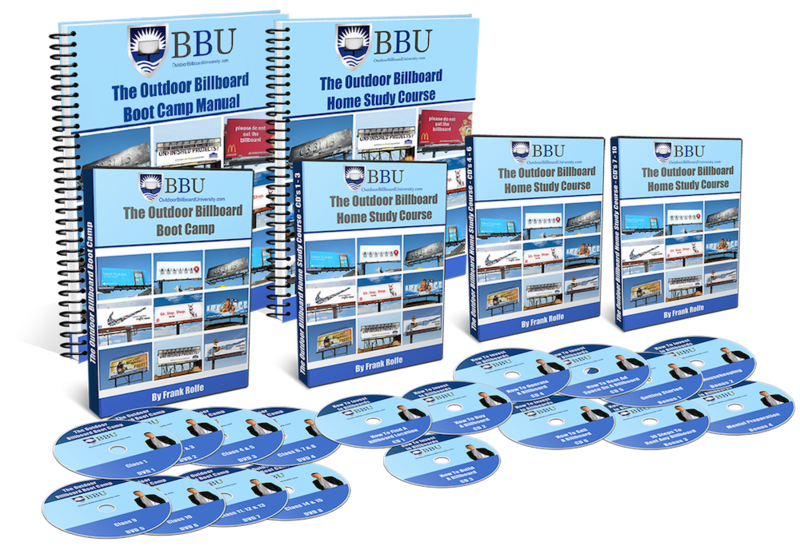 What you do is contact each one and say “what do I have to do to get you on my billboard?” What you’ll find is that they will all throw a price out (because everyone wants a billboard at some price) and you simply take the best offer. Now we’re getting into some specialty types that most people don’t even think of. The COOP is a situation in which certain advertisers are able to put logos on their signs and get partial sponsorship by those brands. For example, a western wear store could do a COOP with Justin Boots where Justin pays 50% of the cost as long as there’s a picture of a boot on it and their logo. In this concept, the advertiser is not just one business but several. For example, let’s assume that a gas station, fast food restaurant and hotel all share a sign to promote getting off at the same exit. They all pay 1/3 of the cost. That’s a combo sign. In this concept, the advertisement does not stay on one sign for a year, but rotates over several different ones – changing each 90 days. This helps to rent billboards as some advertisers think their ad gets stale over time. You’ll need to dedicate four different signs for this rotation. One built-in advertiser might be your landowner. I have done successful trades in which I put up the apartment complex underneath the sign in exchange for the owner (that same apartment complex) to abate all ground rent. With this concept, you find an advertiser that wants to occupy your vacant space at a 50% off discount, but with the agreement that you can kick them off in the event you get a full-price advertiser. So your space gets rented immediately, and yet you can still seek a higher paying advertiser. This is the same as what’s shown above, but with the short-term advertiser paying you in trade units instead of cash. Clearly, cash is better but trade credits are better than nothing. Items you can trade for include food, lodgings, autos, all kinds of things. This is the final straw, as you are not going to collect any money or trade credits. Instead, all you get is a tax deduction. These are ads for non-profits like Mothers Against Drunk Driving (MADD). And you can write off the gift of ad revenues (but ask your tax professional to confirm). These are the top ten ways to get an advertiser on a sign. The bottom line is that you have a bunch of options and if you do each one, the odds are in your favor that you can keep your sign fully occupied at all times.